Welcome to the book tour! This is a highlight tour for the book everyone is talking about! "As soon as I got offered the chance to review this book, I jumped at it. True it’s not my usual reading material but I was intrigued by the premise of this book, it caught my attention. I do like how very easy to read this is, I have read history compilations before that I found very difficult to connect with and hard to follow, due to the amount of scholarly wording. But this is beautifully written so that everyone can enjoy it. You don’t have to be a scholar or someone with a hundred A level’s in history to be able to enjoy it, I can guarantee that if you enjoy learning about less known aspects of history then this is the book. I am so pleased that I got the chance to read it, it is way beyond my expectations. 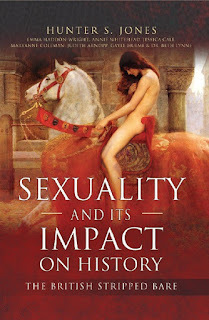 This is a fascinating compilation of stories written by seven incredible female writers who know their craft well, they come together to tell seven stories of how sexuality and the varied custom’s over eras has influenced British History. With a look into all aspects of sexual history including tales of Lady Godiva, Medieval love traditions, shocking tales from the Tudor court and prostitution during the Victorian era. Each section is carefully crafted and cleverly written, it enriches the mind and this whole book is hugely satisfying, knowledgeable and highly addictive to read. Each chapter is a different story and written by a different author, and as such it keeps the reader engrossed and you are compelled to keep turning the pages to see what comes next and see what new little titbit from history you will garner. 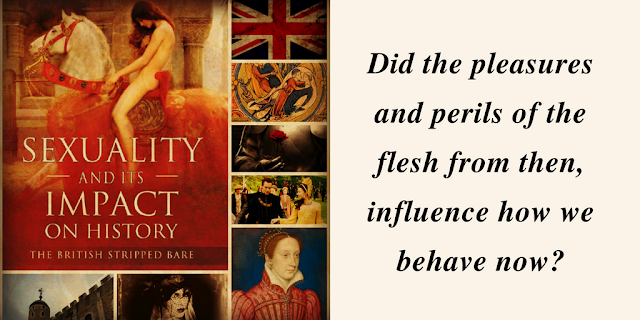 Each tale is fascinating to read, they are thorough and wonderfully researched that keeps the whole thing very real and adds to the enjoyment that you get from the overall book. There isn’t anything I don’t like about it, it has something from every aspect of history. It is a wonderful read that captivates you and keeps you turning the page. Thank you for the shoutout! What a pleasant surprise!